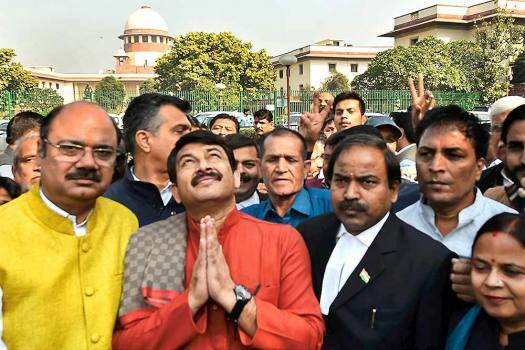 Delhi BJP President and party's North East Delhi candidate, Manoj Tiwari, before filing his nomination for the Lok Sabha elections, at his residence in New Delhi. 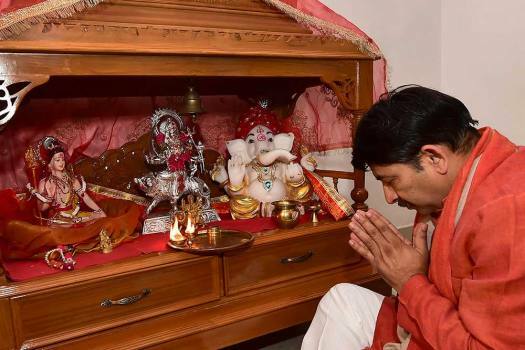 Delhi BJP President and party's North East Delhi candidate, Manoj Tiwari, offer prayers before filing his nomination for the Lok Sabha elections, at his residence in New Delhi. 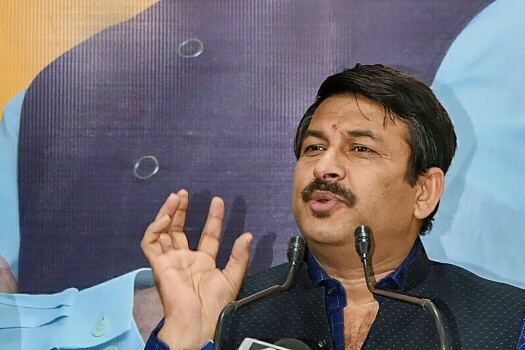 Delhi BJP chief Manoj Tiwari addresses a press conference at the party office, in New Delhi. 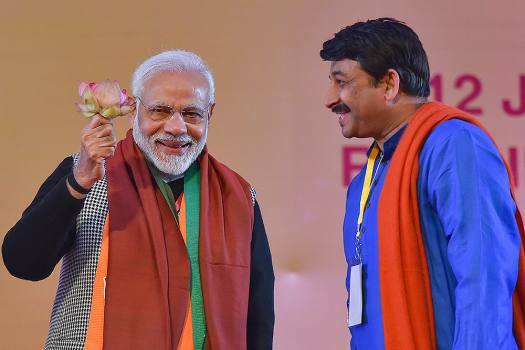 Defence Minister Nirmala Sitharaman is greeted by Delhi BJP President Manoj Tiwari at Bharatiya Janata Party organisational meeting, in New Delhi. 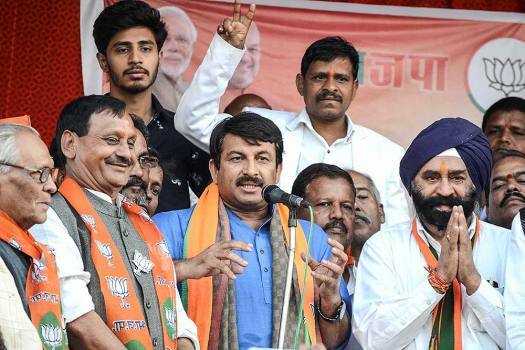 Delhi BJP President Manoj Tiwari addresses a press conference in New Delhi. 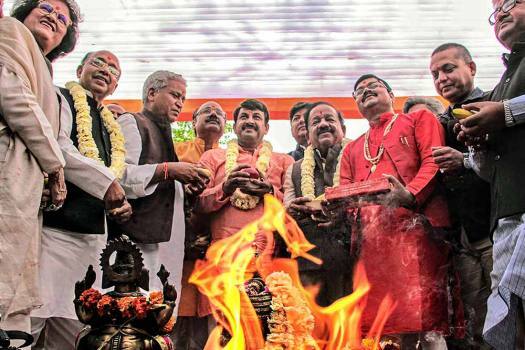 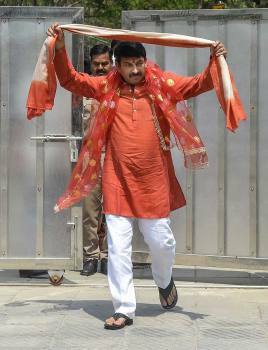 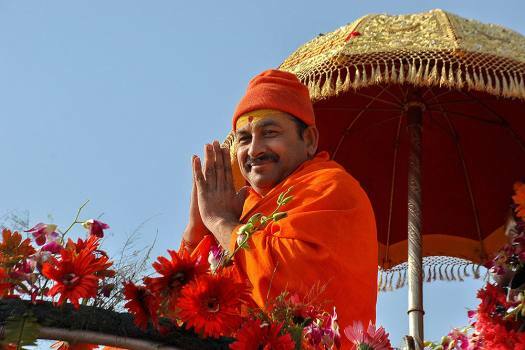 BJP MP Manoj Tiwari on his way to take holy bath at Sangam on the occasion of 'Basant Panchmi' festival during the Kumbh Mela 2019, in Prayagaraj. 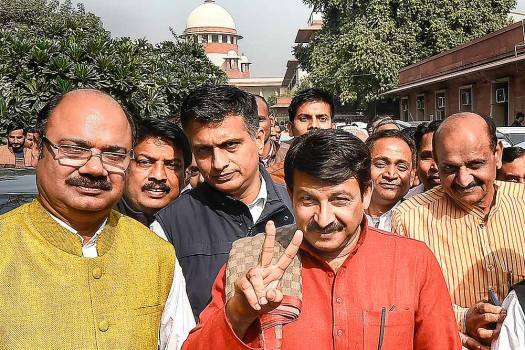 Union Minister Vijay Goel and Delhi BJP President Manoj Tiwari during launch of their campaign 'Andolan' against Delhi Chief Minister Arvind Kejriwal, in New Delhi. 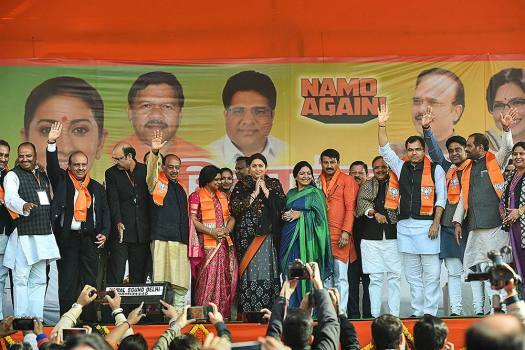 BJP MP Manoj Tiwari addresses an election rally in support of the party candidates in Jabalpur. 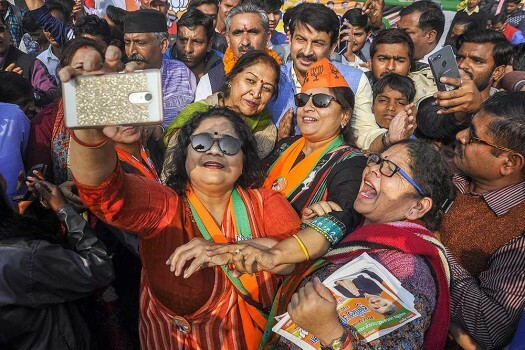 Bharatiya Janata Party (BJP) activists take a selfie with Delhi BJP chief Manoj Tiwari during a campaign for BJP's mayoral candidate Sunil Uniyal Gama, in Dehradun. 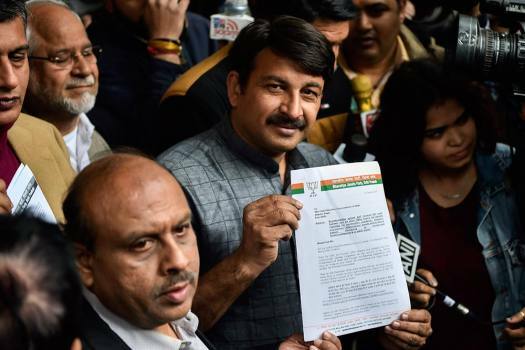 Speaking at the AAP office on the issue, Kejriwal claimed Tiwari had said Delhi cannot attain full statehood because the CM had staged a dharna outside the Rail Bhawan here in 2014. 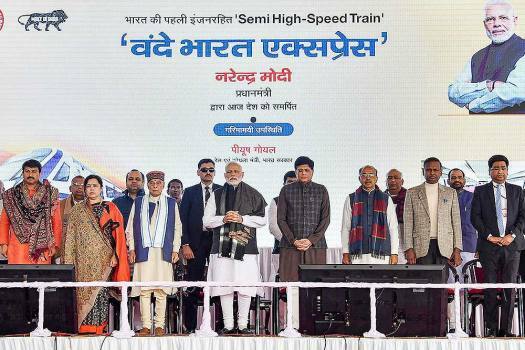 The bridge was inaugurated on November 4 and was opened for the public the next day. 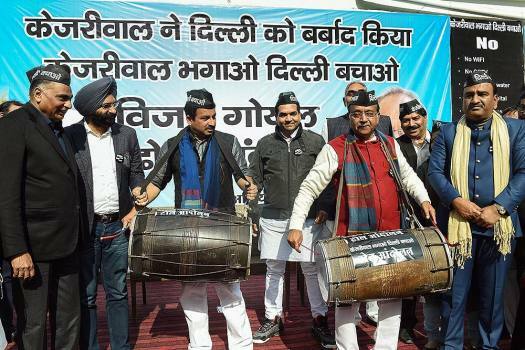 It was inaugurated by the Delhi Chief Minister Arvind Kejriwal. 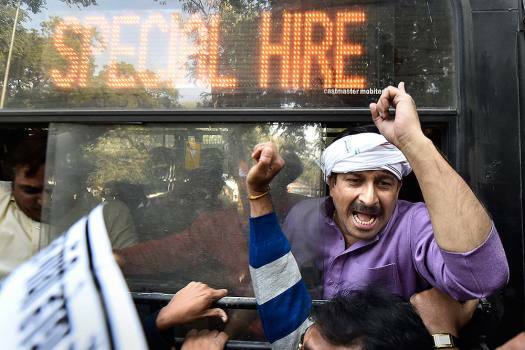 During the inauguration of the bridge on November 4, Bharatiya Janata Party and Aam Aadmi Party workers were seen clashing with each other, following a scuffle between both the parties' leaders. 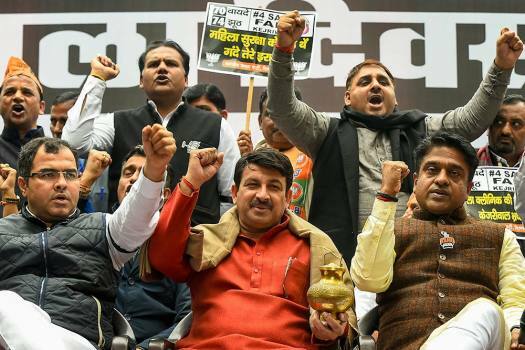 Several protesters who were trying to march towards the chief minister's residence were detained by the police near Chandgiram Akhara, said Delhi BJP leaders. 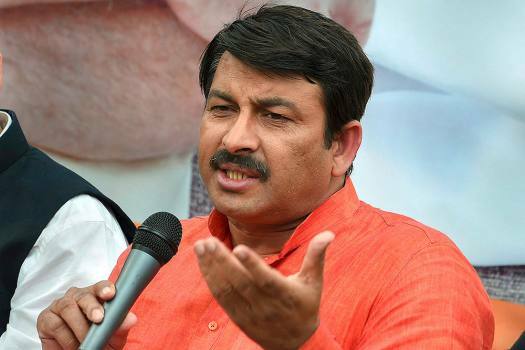 Meanwhile, Tiwari claimed that the entire incident took place in front of Kejriwal, adding that he is going to file an FIR over the incident. 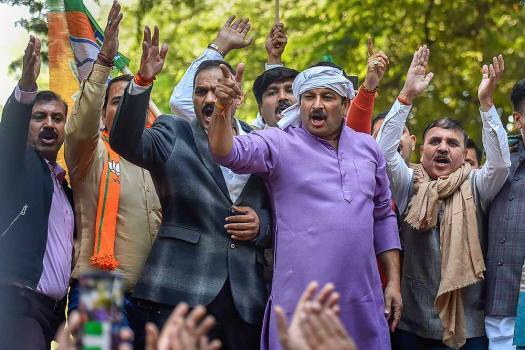 Manoj Tiwari, also a Lok Sabha member, got into a scuffle with Aam Aadmi Party (AAP) workers before the function started at the bridge, leading to the violence. 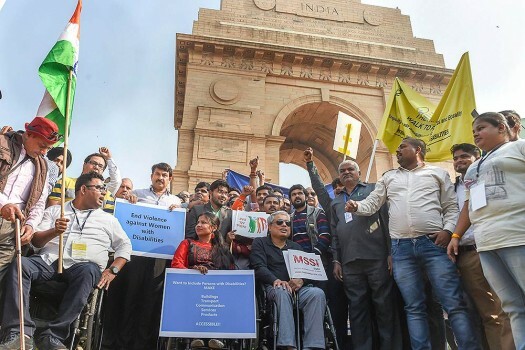 He has been booked under section 188 of the Indian Penal Code (IPC) and 461 and 465 of the Delhi Municipal Corporation (DMC) Act.